Hippychick Fleece-lined waterproofs have been designed to be completely windproof and breathable, thus ensuring complete comfort and protection in all weathers. They don’t just look good, they are also incredibly practical and can be wiped clean or machine washed. 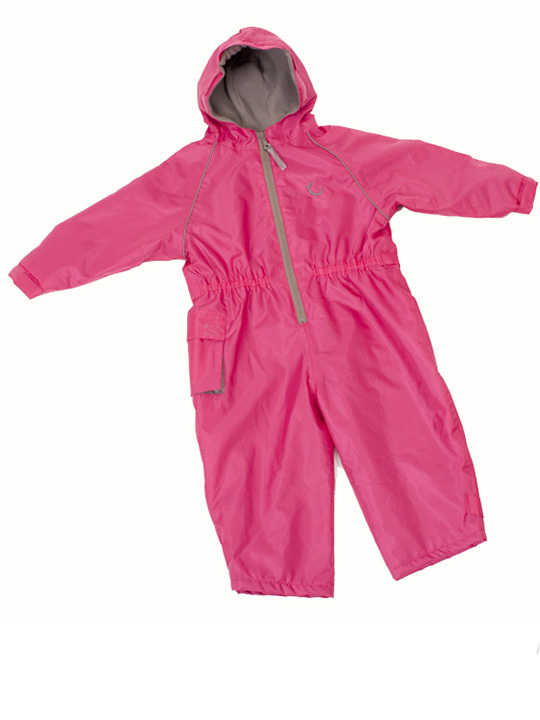 These kid's Waterproof All in Ones are generously sized to ensure that they can fit over other clothing, so you can take your children out and about, whatever the weather! Available in Pink and Blue. Sizes 12 months - 4 years. Tag: Hippychick Pink All In One.